A hypoallergenic dog breed, Bichon Frises are a great choice for families with children because Bichons are sweet, lovable and fun. And they are gentle with kids and adults alike. When choosing a dog for your family, consider your lifestyle, where you live and the needs of your family. Sadly, many families do not have a dog because one of their members is allergic to dogs. One of the best dog breeds for families with an allergic member, is the Bichon Frise breed. Bichon Frises don’t shed fur and they are safe for people who suffer from allergies. A Dog for People with Allergies! Because Bichon Frises are hypoallergenic dogs, that means that you won’t be allergic to them–not that they won’t have any allergies. They are a hypoallergenic dog breed. The fact that Bichons are “non-shedding” is important. When a person is allergic to dogs, they are usually allergic to the dander on dogs (like dandruff). Dogs that don’t shed hair and dander are usually OK for people that have allergies. In other words, you just might be able to have a Bichon Frise, a poodle or another dog that does not shed. Maybe. Choosing a hypoallergenic dog breed can make it possible for a person allergic to dogs, to enjoy having one. Many people think that you can just be allergic to dog hair. However, that is not the case. 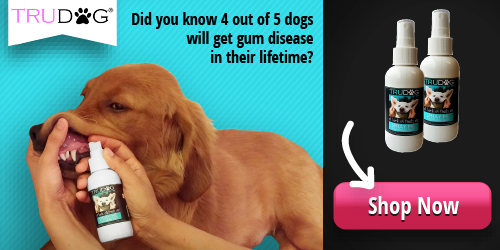 You can be allergic to dog hair, dog dander or to dog saliva. If a dog licks you and you are allergic to its saliva, you would have an allergic reaction. Most often though, the allergen is dog dander. All dogs shed some hair. Bichon Frises are classified as a hypoallergenic breed because their hair keeps growing until it is clipped. 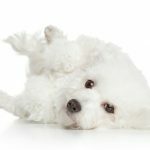 Even though they actually do shed a little hair, Bichon Frise puppies and dogs do not shed lots of hair, like most other dogs. If you are a person who is highly allergic, you should be careful about making a decision to get a dog. All dogs, no matter how much hair they have, how much they shed and whether their hair keeps on growing, still slough off dead skin cells. Dogs requiring extensive grooming expose you to fewer dead skin cells, and that might be why you can tolerate being near them. In addition to being a match for people who have allergies, a hypoallergenic dog breed is also nice, because they shed very little hair, making cleaning your house a whole lot easier! When choosing a pet dog, you should also consider the special needs of the members of your family. 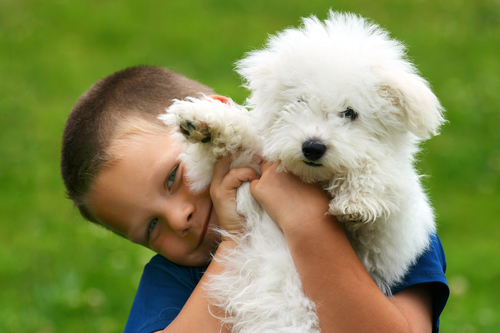 If your child is allergic but loves pets, then a hypoallergenic dog breed like the Bichon Frise could be perfect for you. The Bichon Frise has a dense coat which means that dander will not generally spread throughout your household. A Bichon will also never leave unwanted hair, as it is non-shedding. For most people, choosing a dog for family is an important decision which all family members must undertake. Showering this small dog breed with care and affection will certainly create a loyal companion who would be with you for years.